Heat oven to 350°F. Spray cookie sheet with cooking spray. 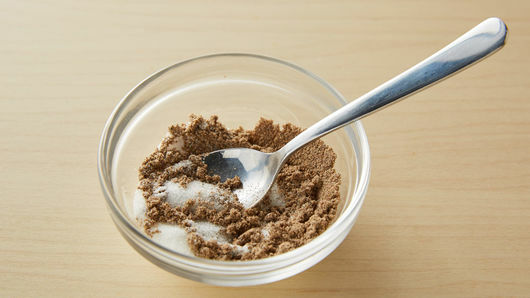 In small bowl, mix sugar and cardamom until well blended. Set aside. Unroll dough on work surface; press to form 12x8-inch rectangle. Brush with half of the melted butter; sprinkle evenly with 4 teaspoons cardamom-sugar mixture. 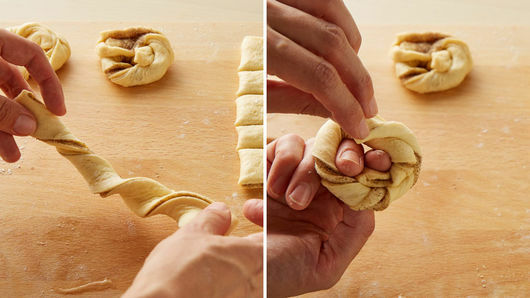 Starting at one short end, fold dough in half. With pizza cutter or sharp knife, cut into 8 (1-inch) strips. 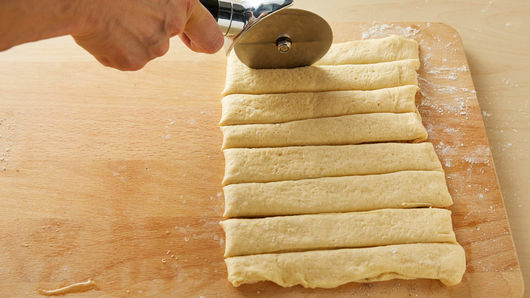 Twist each dough strip and circle dough around two fingers to create space to tuck one end through to form a knot. Tucking ends under and place on cookie sheet. Brush buns with remaining butter; sprinkle evenly with remaining cardamom-sugar mixture. Bake 14 to 16 minutes or until golden brown. Remove from cookie sheet to cooling rack. Cool 5 minutes. Serve warm. 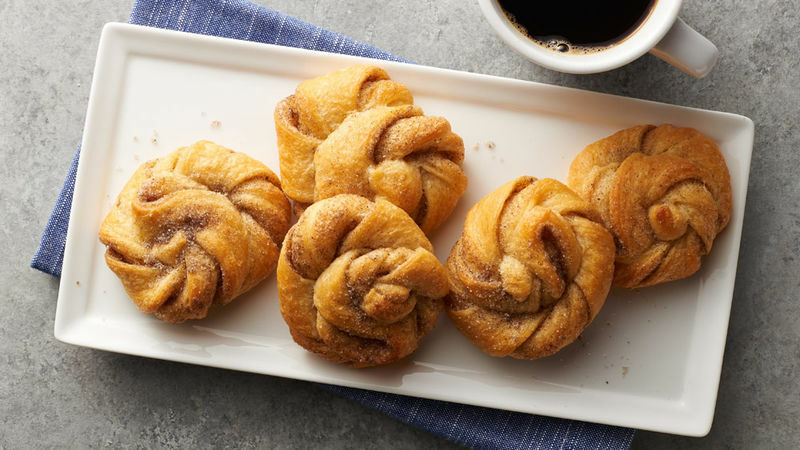 1 can (8 oz) Pillsbury™ refrigerated crescent dinner rolls can be substituted for the Pillsbury™ refrigerated crescent dough sheet. Firmly press perforations before topping and shaping. Cardamom is a spice from India that is used as a flavoring in both food and drinks.